We can now take everything we have learned and start publishing our applications. Luckily, there is a command for that too. I don't know why I bother saying anything here, this is pretty straight-forward by now. And for good measure another build. Which results in the following file structure. The publish command adds a new build artifact folder - publish. Inside are all of the files for the application to distribute (to someone who has the runtime available). 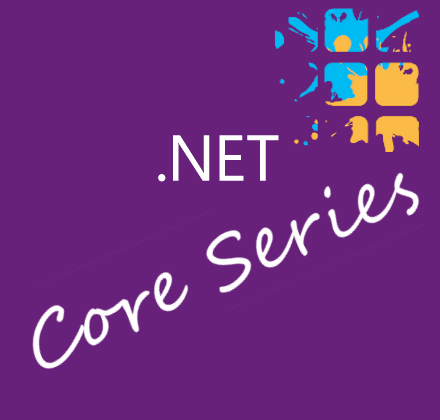 In this case our application is a netcoreapp1.0, so the distribution is the dll, to run with .Net Core runtime. We can execute our application using the command dotnet mynewapp.dll from inside the publish folder, or from the project folder using a relative path dotnet .\bin\Debug\netcoreapp1.0\mynewapp.dll. We probably want to publish to a different location, so we can use the option -o <OUTPUT_PATH> to publish somewhere else. At the same time, we might use the -c <CONFIGURATION> option to specify a release build. We can also include extra files into our output folder. For instances lets add a readme.md file beside our program.cs file. This app prints the first verse of a poem. In our project.json file we can add packageOptions includeFiles properties, to include our readme.md file. Otherwise, that's how easy it is to include extra files when publishing. Or 4.5, 4.5.1 & 4.6. They all basically follow the same principles. It all starts with the project.json file. For reality sake, I am going to add to rather then replace the netcoreapp1.0 target. We now have a .Net 4.5.2 exe that we can run anywhere where .Net 4.5.2 has been installed. One thing missing is an App.Config, which some of your existing applications likely use for useful things like configuration. You can simply add an include with a trasform to map a file called App.Config, with a transformation to the more expected name of %APPNAME%.exe.config. In our win7-x64 folder, we have the built output targeting .Net 4.5.2 including our app.config file, and inside that folder is a publish folder, which is our publish output, including both the earlier readme.md and the transformed app.config file ready to zip up and distribute as required. We are almost wrapped up, only one last piece to go, Self-contained Applications. Stay tuned.